A few theatres have previously inhabited The Lyceum's site, including one which was famed for being the first in London to be lit by gas and which hosted the premiere of Mozart's Cosi Fan Tutti. Another previous theatre, designed by Samuel Beazley, opened in 1834 on 4th July. Following a fire in the theatre the majority of Beazley's building had to be demolished. The current building, opened in 1904, still retains Beazley's formidable original portico and facade. Doubt over the future of the building struck in 1939 when plans for a road extension and roundabout meant that the building had to be demolished. Fortunately plans for its demolition collapsed and, after the war, the theatre was subsequently leased by Mecca as a ballroom and then years later as a pop venue - U2, Bob Marley, The Who and Culture Club have all played here. Further years of uncertainty followed, ending in 1996 when the theatre finally reopened with Jesus Christ Superstar. Its status as a successful venue for large scale musicals was confirmed in 2002 with the opening of The Lion King. What are the best dining options near The Lyceum Theatre London? The Lyceum Theatre gyms, sporting activities, health & beauty and fitness. The best pubs near London The Lyceum Theatre. 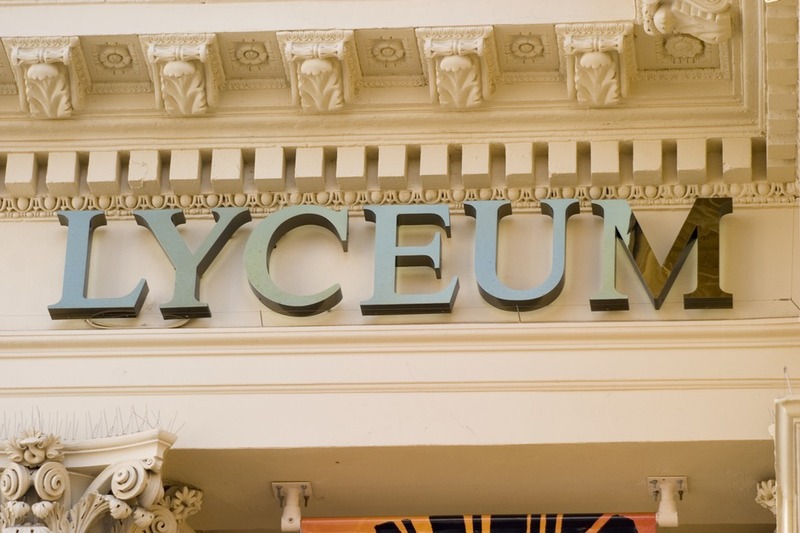 The Lyceum Theatre clubs, bars, cabaret nights, casinos and interesting nightlife. Where to have your meeting, conference, exhibition, private dining or training course near The Lyceum Theatre. From cheap budget accommodation to luxury 5 star suites see our deals for The Lyceum Theatre hotels, including Strand Palace Hotel London from 85% off.